Christmas may seem a long way off for some of you, but with Baker Street's holiday series in full swing, it certainly smelled like Christmas around my kitchen this weekend! Anuradha offered us a basic Gingerbread recipe, giving us plenty of room for creativity, so I'm excited to see what the other Muffin Monday bakers have devised this week. Every week, MM participants tell funny stories about how the people in their households have begun to expect and anticipate the new week's muffin. Well, F. was asking me for Muffin Monday muffins by Wednesday of last week. When I told him I'd need Muffin ESP in order to do that, since we don't get the recipe until later in the week, he was pretty disappointed - in both the outcome and my inability to read An's thoughts. Poor boy had to wait. Generally speaking, when I try to come up with twists for my muffins, I look for words like 'glaze,' 'streusel,' and the ever-ambiguous 'topping,' in an effort to keep the muffins muffin-like, and not to confuse them with their sweeter, cupcake cousin. I failed in that effort this week, but I'm more than ok with that. The gingerbread turned out a little drier than I would have liked, so the generous heap of buttery goodness was a welcome feature and helped to balance that dryness out. Also, it should be added, I'm not so well-versed in the ways of frosting and decorating, so pardon the disheveled appearance of my muffins. I can never seem to get frosting to stick or sit smoothly. This is a skill I'm really interested in working on and experimenting with in the coming months. In the meantime, tips are most welcome! Too early for Christmas muffin wrappers? Heat oven to 400°F. Grease bottoms only of 12 regular-size muffin cups with shortening, or place paper baking cup in each muffin cup.In large bowl, beat brown sugar, molasses, milk, oil and egg with spoon. Stir in remaining ingredients, just until flour is moistened. Divide batter evenly among muffin cups. Bake 18 to 20 minutes or until toothpick inserted in center comes out clean. Immediately remove from pan to cooling rack. Cool completely, about 30 minutes, before frosting. For the frosting, melt the butter in a non-stick pan over medium heat, roughly 6-8 minutes, until nutty brown and aromatic. Strain the butter through a fine-mesh sieve (you don't want any of the dark brown bits in your frosting) into a bowl. Add the rest of the ingredients and mix until smooth. I really encourage you to stop by Baker Street to check out all the Muffin Monday bakers and their Gingerbread Muffins, as well as Anuradha's Muffin 101 and her latest installment of 6 quick bread recipes. 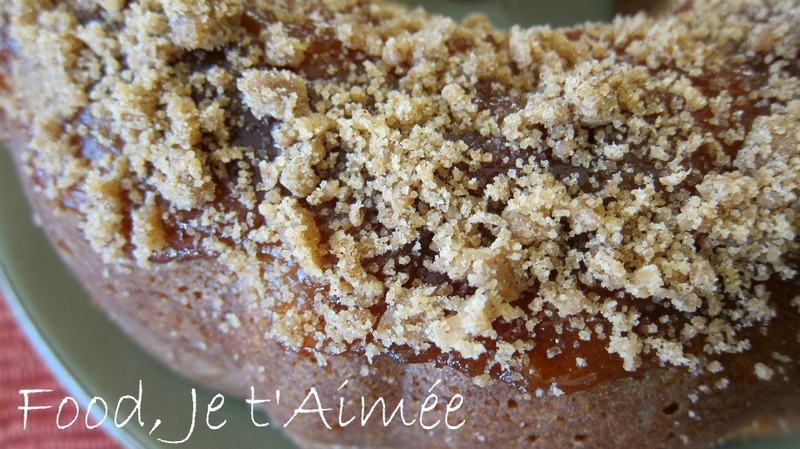 Her website is a great resource for baking! These muffins deserve to be taken over the top and turned into dessert anyway. :) Frosting--yum! Nice job! I love the brown butter icing...mmm...must have tasted great! Good for you to avoid the temptation of using cream cheese - I had to purposely avoid it as well! Can't become predictable, right?! Yeah mine were a bit dry too, don't know what it was. And no worries with the topping. The point is, it tastes good! These look ACE Aimée - I don't bake often, but I launched into some carrot muffins last week and they came out really well. wow brown butter frosting sounds amazing! what a great combo! For some strange reason, I was hoping to see some cream cheese frosting ;-)! 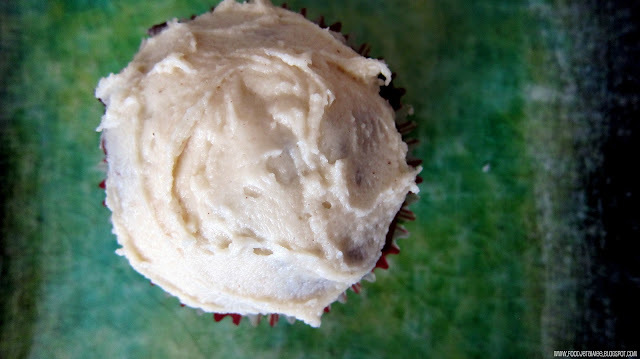 However, this Brown Butter Frosting is a delight! 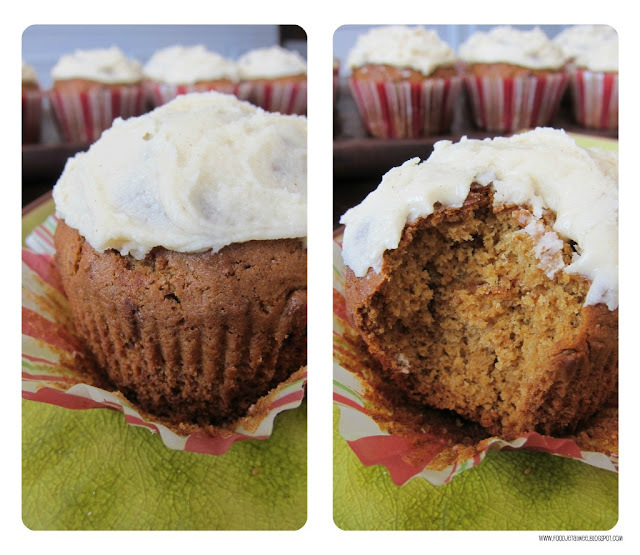 Seriously, I really must try brown butter frosting at some point. Your muffins look delicious. I just don't make muffins enough. I find them the most comforting of comfort foods, best eaten in your jammies early in the morning while the heating kicks on. Mmm gingerbread does say Christmas, doesn't it, and the brown butter frosting is perfect (and forgiving, obviously)!